Adrian Beltre has made quite a Hall of Fame case for himself as one of the best ever. He’s joined an elite club by hitting his 400th home run last night off Bruce Chen. Beltre has a lifetime 78.8 bWAR for you Sabermetrics folks. He absolutely has put up the numbers with his bat to be a likely Hall of Famer. Texas as a team is in a weird limbo with their roster. They’re definitely not good and have all kinds of problems with pitching, yet the roster is littered with aging veterans just forced to play out the string. 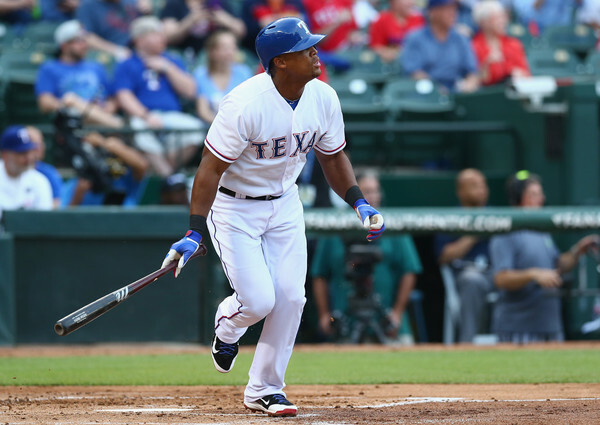 In what is certain to be a season of struggle, Beltre provided the home fans with a big moment. And everyone got to touch the head! Wait, Adrian Beltre has 2,999 career hits? Now, what the Hell do you suppose was going on here?